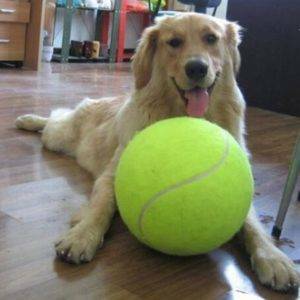 This giant tennis ball is surely going to become your pet’s favorit. 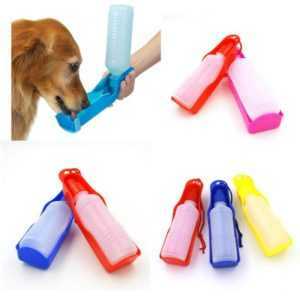 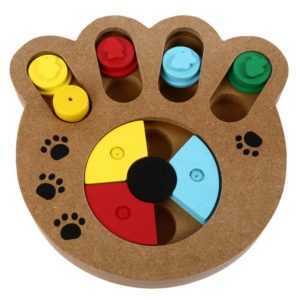 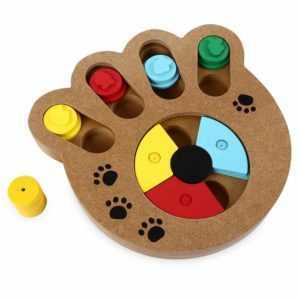 Your dog or cat are going to love it when they see it. 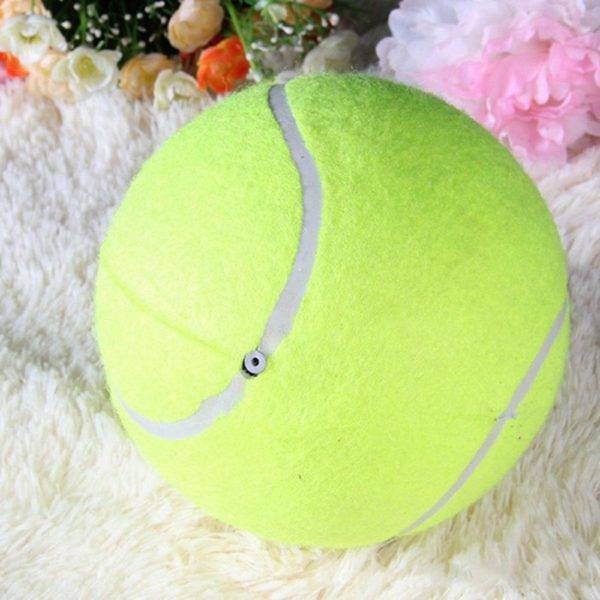 It’s made of a rubber core of a basketball and common felt of tennis ball, it’s much thicker than a normally pet tennis ball. 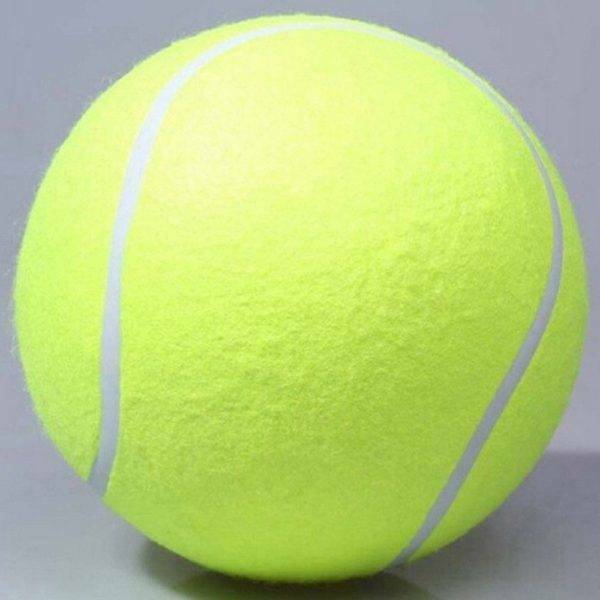 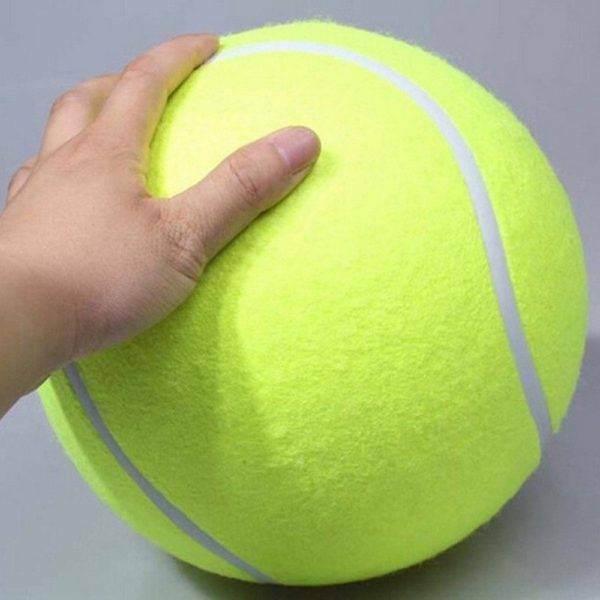 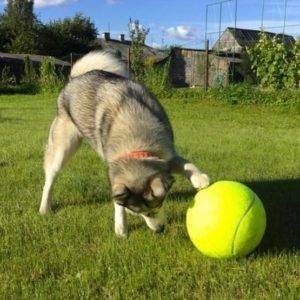 This genuine 24 diameter tennis ball, is going to keep your dog ammused and accupied! Please make sure to fill the ball with air as much as possible!